The Utah Office of Tourism (UOT) contracted with SMARInsights to conduct research to evaluate its image among U.S. consumers. 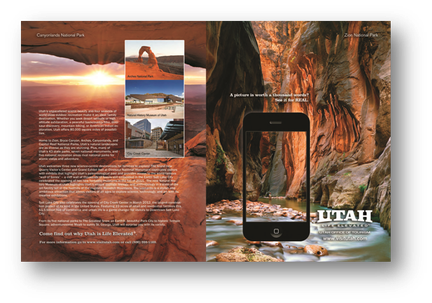 A detailed sample plan was developed to provide information nationally and more in-depth information on specific regions and DMA’s of greater importance to Utah. The survey gathered information about the current image of Utah and key competitors. In addition to gathering information regarding attitudes, the survey explored recent travel. This resulted in an inventory of over 5,000 trips, and 1,840 trips to Utah or one of its competitors. SMARInsights used key driver analysis to present UOT with actionable findings, which helped identify challenges the state faced, including the fact that many people thought that the iconic scenery shots being used in promotions were located in a different state. UOT used the findings from the image study in subsequent research to track the effectiveness of its advertising and to make continual improvements. The current advertising continues to build on this research and has generated tax ROI above the national average.